On Monday July 6th, millions around the world will be celebrating the DALAI LAMA’S 80th BIRTHDAY! 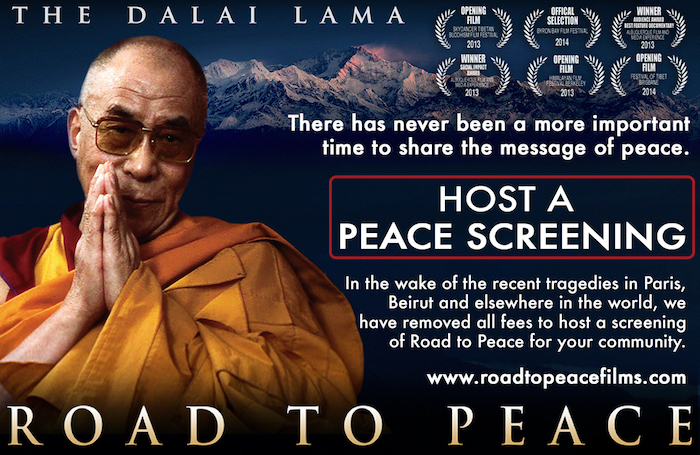 In honor of the Dalai Lama’s life-long commitment to promote World Peace, and in celebration of his landmark birthday on Monday, the film-makers of the Award-Winning film ROAD TO PEACE invite you to share in one of the most intimate and rare films ever made about His Holiness. Newly released on iTunes for 2015, the film-makers hope that through ROAD TO PEACE; people all around the world will now have the opportunity to experience the Dalai Lama’s humour, wisdom and infectious spirit, and be inspired in their own homes and communities. 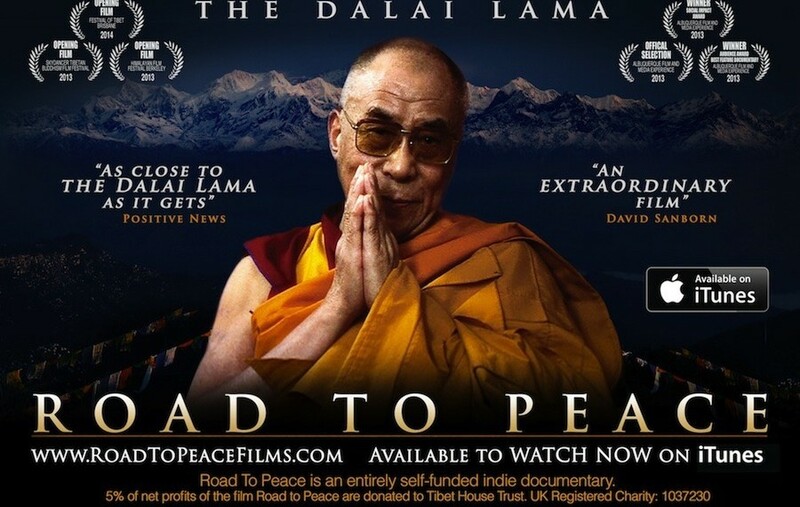 ROAD TO PEACE was recently screened during the Dalai Lama’s visit to the world famous Glastonbury Festival in the UK and his visit to Sydney Australia. We’ve also just heard that Desmond Tutu may open the South Africa Premiere of Road to Peace at the Dalai Lama Birthday Film Festival this weekend! The film-makers Leon and Rowan, in celebration of the Dalai Lama’s milestone birthday, have just returned from their penniless pilgrimage. In the Buddhist tradition they walked 200miles across England without carrying money or food, to promote the Dalai Lama’s message of peace and compassion, through screenings of this timeless and remarkable film. 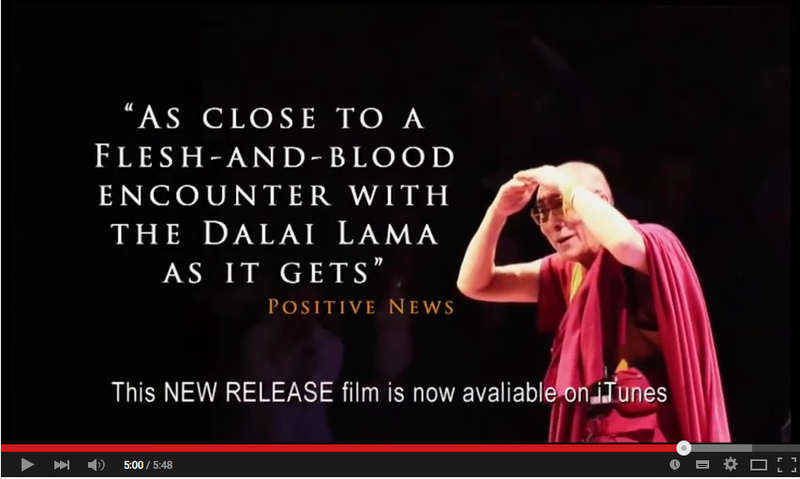 ROAD TO PEACE was shared in Cinemas, Buddhist centres, schools and with Interfaith leaders. All screenings were offered for free and helped to raise money for charity, including Nepal Earthquake victims, Tibetan communities and climate change groups. It was a huge success, with rave reviews from all who watched it. To help share the Dalai Lama’s message of World Peace, we would be sincerely grateful if you could kindly share this email with your friends. 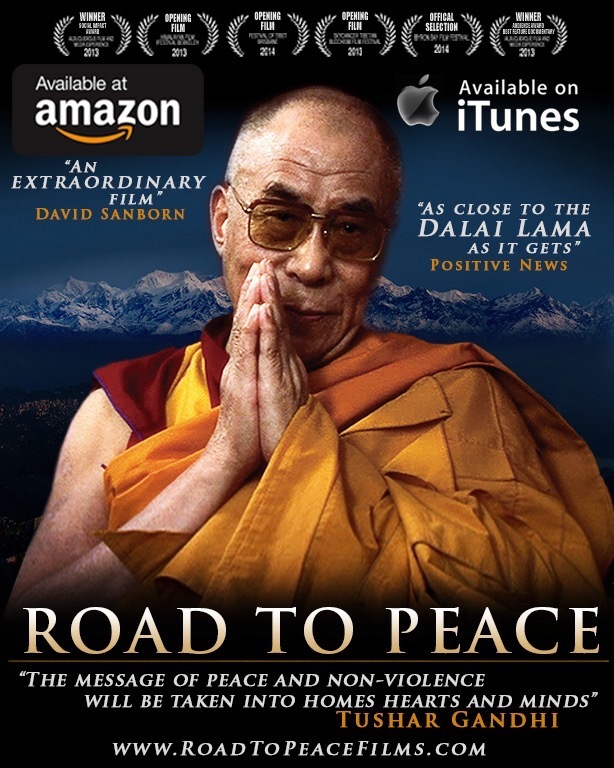 You can now enjoy Road to Peace yourself, with your friends or your communities instantly on iTunes. Or purchase the DVD on Amazon. raise awareness of Peace, Happiness and the promotion of Mental Health. productions to create positive social change.